Course Website: Official Website - Visit Bulle Rock's official website by clicking on the link provided. 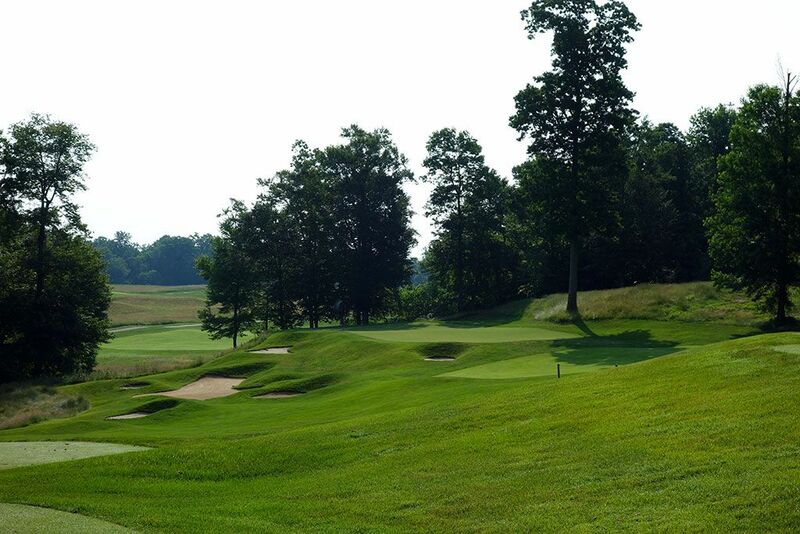 Accolades: Ranked 4th in Maryland on Golf Course Gurus' Best in State list. 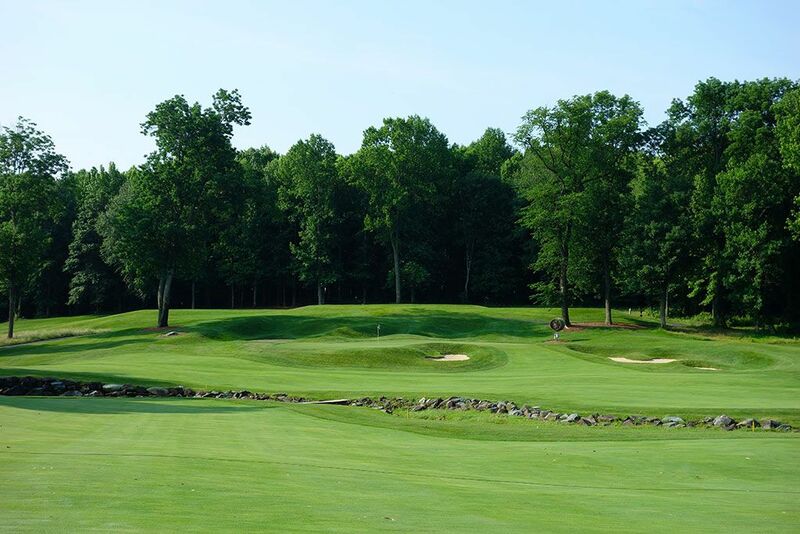 What to Expect: Plenty of upper end public courses claim to offer a country club experience for the day, but none delivers on that promise better than Bulle Rock. This northwest Maryland facility boasts multiple dining options, banquet and meeting rooms, and a full locker room staffed by an attendant waiting to serve you. The experience extends to the golf course where you are greeted by staff members at the bag drop, offered a GPS cart or a caddie for the day, directed to the complimentary driving range, and finally are able to go enjoy a course that features great conditioning. 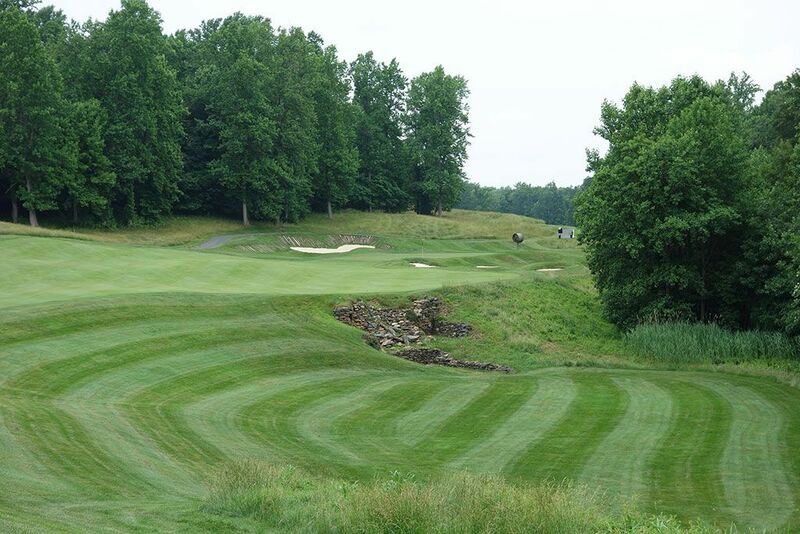 While many Pete Dye courses can feel a bit extreme and unorthodox at times, Bulle Rock instead feels like it belongs on the property as Pete let mother nature take a bigger lead in the design and the result was 18 attractive holes that are highly memorable and varied. The routing flows well which gives a nice continuity to the course and appeal to those that choose to walk. Elevation changes, some more severe than others, exist throughout the property which delivers some enjoyable shot making opportunities while not being too taxing on walking patrons. 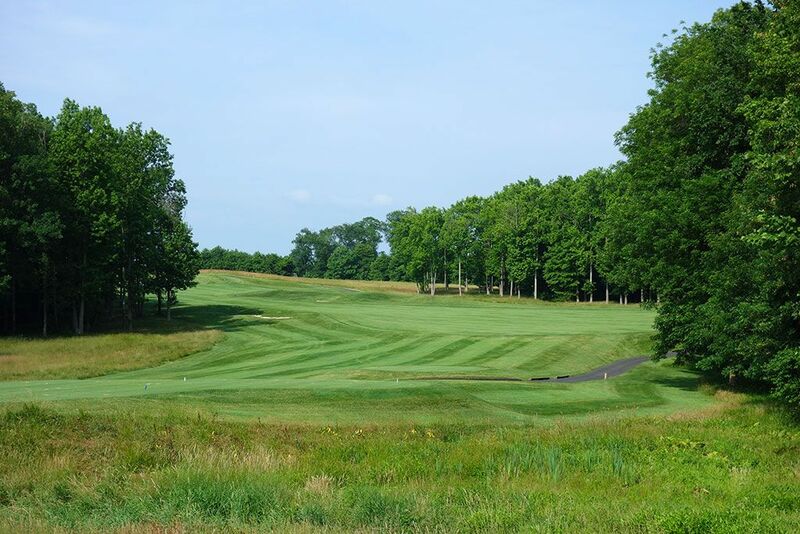 From the back tees the course will offer all of the challenge you want while the front tees do a great job of accommodating shorter hitters that may struggle with forced carries. 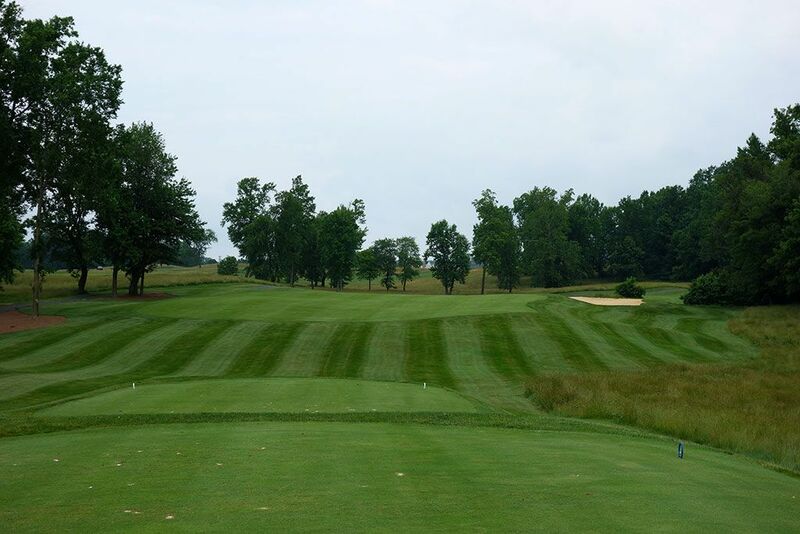 The fescue lining the fairways can occasionally gobble up your golf ball and the difficulty of the course is significant enough to create some longer rounds, but overall the experience at Bulle Rock is top notch. 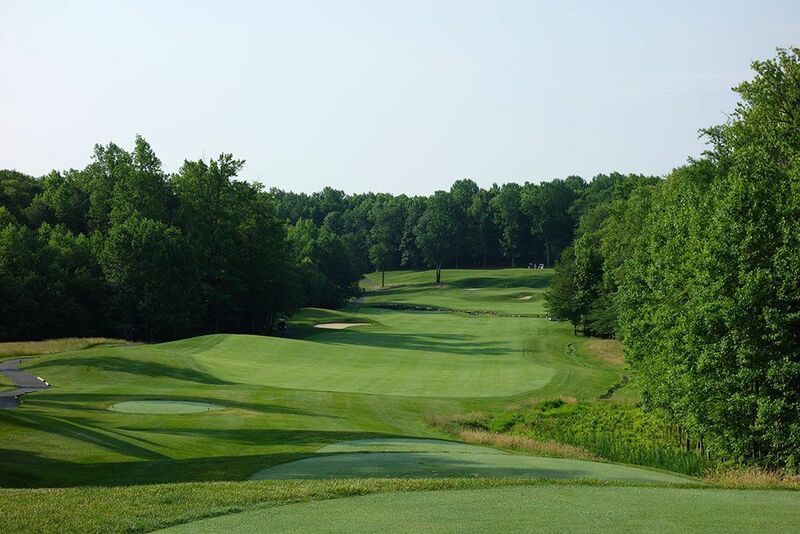 Signature Hole: 18th Hole – 485 Yard Par 4 – In classic Pete Dye fashion, Bulle Rock goes out with a bang with this impressive par four. Water lines the entire left side of the fairway as players pray their snap hook doesnâ€™t come out to haunt them. 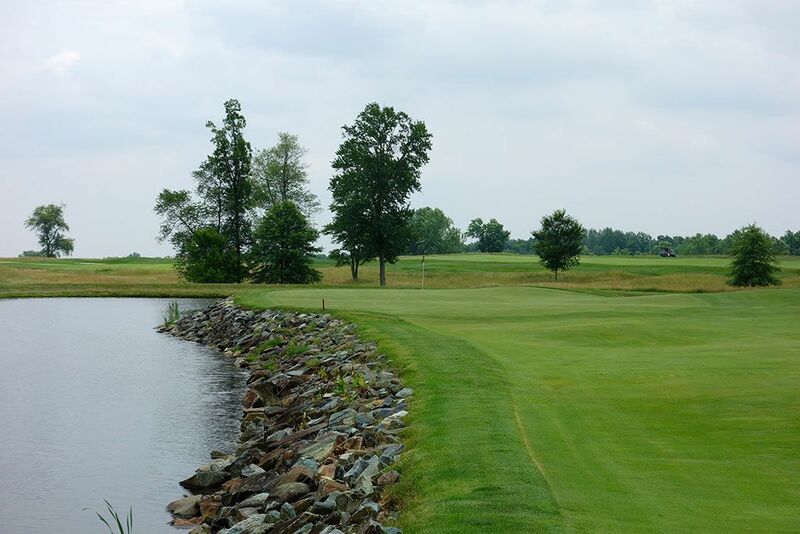 A safe shot up the right side of the short grass will leave players with the best angle to the boulder supported green that fades toward the water and creates the most intimidating approach shot of the day. Rated as the most difficult hole on the back nine, the 18th is worthy of that notorious distinction. Best Par 3: 12th Hole – 190 Yards – If you have played many Pete Dye courses then the look of this one-shotter will seem familiar, perhaps no more famously than at Whistling Straits. The hole wraps from left to right around the water with the green maintaining that angle along the hazard as well. When the pin is in the back right, like it was the day I played, then bold shots at the flag have a much more likely chance of finding the water, like mine did. The smart play is towards the back and left side of the green where the putting surface is largest and the most success can be realized. This hole may not be unique among Dye designs, but its effectiveness is what keeps bringing it back time and time again. Best Par 4: 13th Hole – 476 Yards – This is a great hole where Pete doesnâ€™t let you cheat it. Players trying to trim off yardage by contesting the right side of the hole where the fairway doglegs will almost surely be denied access to the fairway as their ball is repelled down a neighboring ravine. The entire hole slopes towards the ravine thus forcing the wise player to stay plenty left and deal with the lengthy approach shot into the green. The further left you can place your tee shot the more green depth youâ€™ll have to play with while tee shots to the right will have tons of width to play with but very little depth. The green is surrounded by four bunkers which makes the approach shot intimidating to those that fear the beach. It is worth noting that I pulled my approach shot into the railroad ties left of the green which promptly ricocheted my ball onto the putting surface two inches from the hole for the luckiest kick-in birdie of my life. 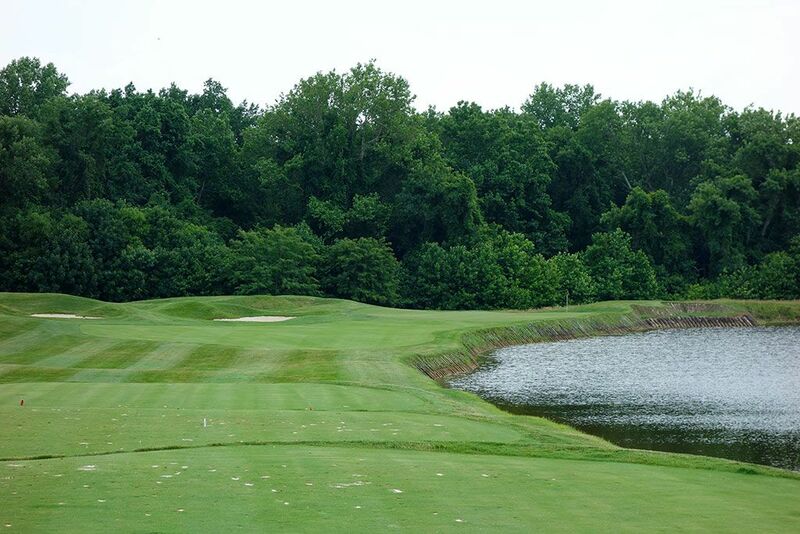 Best Par 5: 2nd Hole – 572 Yards – Many players will walk away from Bulle Rock with this hole being their favorite. Though the yardage is significant, this par five is reachable in two due to how far downhill it plays from the tee. Trees line both sides of the hole and a stream cuts through the fairway about 75 yards from the green which can create some trouble but the pot bunker in front of the green is where you can quickly make a fool of yourself trying to get out. This is likely the most attractive hole on the property and is the first â€˜wowâ€™ moment on the golf course. Birdie Time: 3rd Hole – 177 Yard Par 3 – Clearly the best chance you have of scoring a birdie on any hole is one that you can easily reach in regulation. This short-to-mid length par three has a massive green that is easy to hit and will even welcome tee shots hung out to the right where they can quickly kick back onto the putting surface. The trees on either side of the green will help knock down the wind which combined with a perfect lie on the tee box should equate to an great opportunity to knock your approach shot stiff. Pick up a birdie here so that you have some insurance for later in the round where I assure you that youâ€™ll need it. Bogey Beware: 5th Hole – 483 Yard Par 4 – This is a tough hole . . . a really tough hole. 483 yards is plenty of distance to cover, but you have to do it while the hole doglegs uphill between the trees and around a bunker to an elevated green with a slight false front. Players that think they can clear the bunker on the corner of the dogleg better be able to fly their ball 300+ yards uphill and risk finding the thick rough on the left. The long, skinny green resulted in two players in our foursome three-putting and was a quick reminder of how difficult this hole is from start to finish. Par here easily takes a stroke on the field.